Petroleum Experts develop the Integrated Production Modelling software (IPM). IPM models the complete oil or gas production system including reservoir, wells and the surface network. The IPM suite of tools: GAP, PROSPER, MBAL, PVTP, REVEAL and RESOLVE can be run together seamlessly, allowing the engineer to design complete field models. The models can include the reservoir tanks, all the wells and the surface gathering system. IPM can model and optimise the production and the water or gas injection system simultaneously. With the Reservoir, Wells and Complete Surface Systems model completed and the production history matched, the production system can be optimised and production forecasts run. The unique global optimisation approach permits the engineer to determine the optimum setting to maximum production or revenue, taking account of all constraints that are set in the system. These results can then be used to implement adjustments at the field level to achieve the optimisation goals. There are literally several thousand fields worldwide having their production managed and optimised using IPM. Here is a recent article published in the E&P magazine using the IPM technology on the Draugen field in Norway. All common naturally flowing well configurations, including multi-lateral, whether naturally flowing or with artificial lift can be modelled and optimised together. 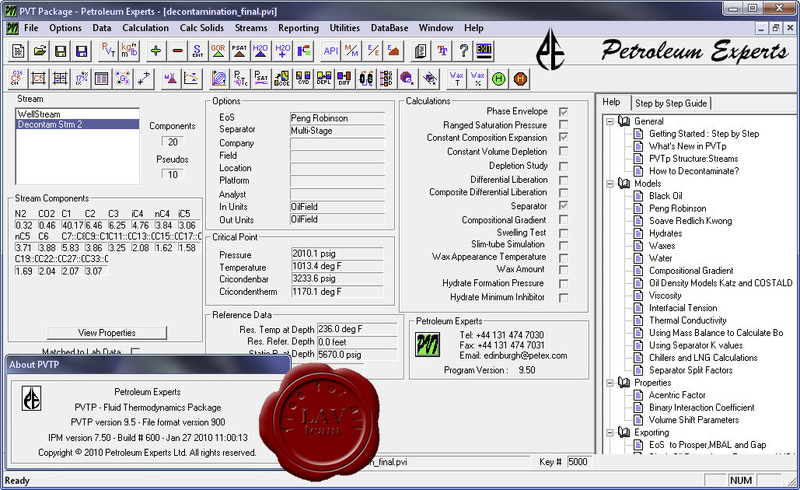 With the use of RESOLVE and OpenServer the IPM approach has been extended to connecting the PETEX software to third party software such as Reservoir Simulators and Process Simulators. These products form a suite of complementary tools assisting engineers to improve their reservoir simulations by describing and modelling a production system more accurately.